A promotional photo for the Broadway Princess Party, which comes to the Pantages Theatre on August 18. 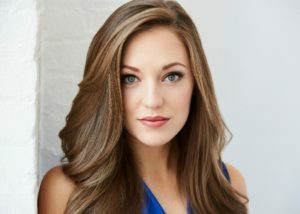 Eagan, MN native Laura Osnes has been to Broadway and back with the Tony nominations to prove it. Besides Broadway, she’s starred in shows at Lincoln Center and the Kennedy Center, and sung concerts with the New York Philharmonic and the Mormon Tabernacle Choir. She also starred in the world premieres of Bandstand and Bonnie & Clyde. Another thing that Osnes has been up to is a special, red-hot event in New York: the Broadway Princess Party. One of the many stars in the Osnes tiara is having played the titular princess in the Broadway production of Rodgers + Hammerstein’s Cinderella. For the Broadway Princess Party, she teams up with other women who’ve played stage princesses on Broadway to host a special, one-of-a-kind musical evening. The Broadway Princess Party lands in Minneapolis at the Pantages Theatre on Saturday, August 18. The Arts Reader‘s Basil Considine caught Osnes on the phone last week to talk about her career and the genesis of this special event. Where, geographically, am I catching you today? Eagan, MN native, actor, and Broadway Princess Party host Laura Osnes. I’m in Vail, Colorado, doing a concert with the New York Philharmonic. Did you say the New York Philharmonic? Yes! They do a 1-week residency here every summer; we’re doing a program of Leonard Bernstein songs together. I sang a similar concert with the New York Phil on New Year’s Eve that was aired on PBS; this one is with Annaleigh Ashford and Santino Fontana, who are just wonderful. At this point in your career, how do your concert appearances get arranged? Is it mostly through your agent, through a network of personal contacts, or…? Concert bookings vary, but a lot do come from my agent. A lot of my other concert invitations come to me from people that I know from the business, friends who organize concerts, etc. In this particular case, I got the booking because I sang their New Year’s Eve concert, and they asked me if I could do it again. Christopher Jackson and Aaron Tveit weren’t available to come back, but Annaleigh Ashford was and we got to bring in Santino Fontana. You grew up in Eagan, MN. How often do you make it back? I probably normally come back an average of twice a year, but recently I’ve been coming back more often because I’m not in a show. This past year, I came back for Halloween, Christmas, the Super Bowl, and twice for concerts and other events. Like your work with the Spotlight Education program? Yes! I hosted the 24 Hour Plays back in March. I also sometimes teach master classes or do a mini-concert, do films, or do promo stuff. Also, it’s always nice to hang with family. Is teaching a growing component of your time? It’s a great thing to do on the side when you’re not doing 8 shows a week. I don’t love it as much as I do performing and singing, but it’s a good gig. How do master classes and such get set up? Most of those come through my network of friends – people in the business, people who start companies. I don’t organize them myself, but I work with several organizations that do. 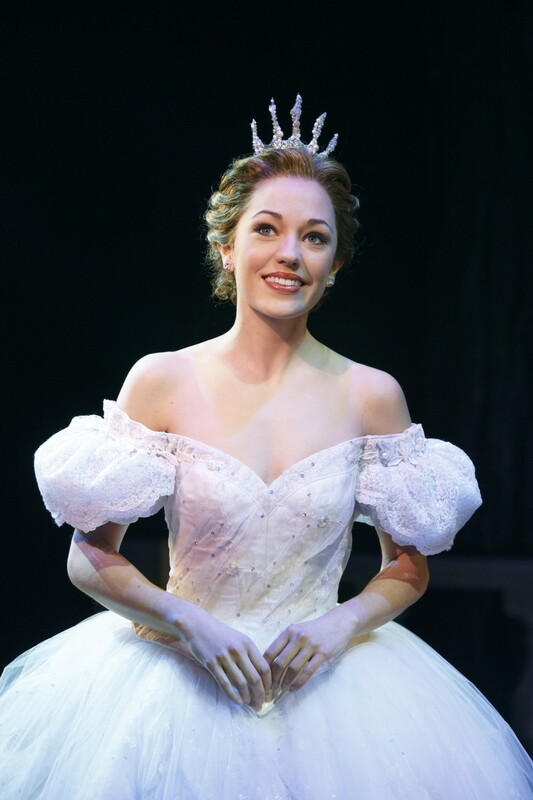 It’s been a few years since you first donned the Cinderella tiara on Broadway. You’ve done a few things here and there, like Bandstand – what sequence of events led to your hosting the Broadway Princess Party? I thought to myself, “Yes!” – and about two hours later I sent him a spreadsheet with names of all my friends and the roles I thought they should play. The first time we did the show, it was just amazing and empowering – having all these insanely powerful women onstage, supporting each other, instead of feeling like we were competing for the same part. It was girl after girl, just knocking it out of the park. They asked us to come back, so we did another one 6 months later…and it’s kept going from there. We’ve done a total of 6 at 54 Below, plus a Boy Prince Party version, and then we started taking it on the road because there was so much interest! We also did a run of 4 shows in California at the Segerstrom Center for the Arts in Costa Mesa, which went insanely well. After that, we started calling people and places we knew, and now have connections with people who are taking it farther and faster than Ben and I ever thought it would. The performances so far have all been in places with 300-350 seats, so we’re extra excited to come to Minneapolis and perform the Pantages Theater, which is a 1,000-seat theatre. I’d love to fill a theatre in my home town! Is this going to be the first time that you’ll be doing this show in a “regular” theatre setup, as opposed to a dinner theatre/club-type arrangement? We did one show in more of a “theatre” setting, but most of them have had tables and chairs. We’ll see how it scales up! We have decorations that we bring to make it feel like a party, and have some ideas for photos and digital backdrops. The show is really about the piano and 3 girls: nice and intimate, but all of our voices will blow the roof off. It’s called the Broadway Princess Party for a reason. Ben was playing piano when I got asked to record a demo for some musical theatre-writer friends. 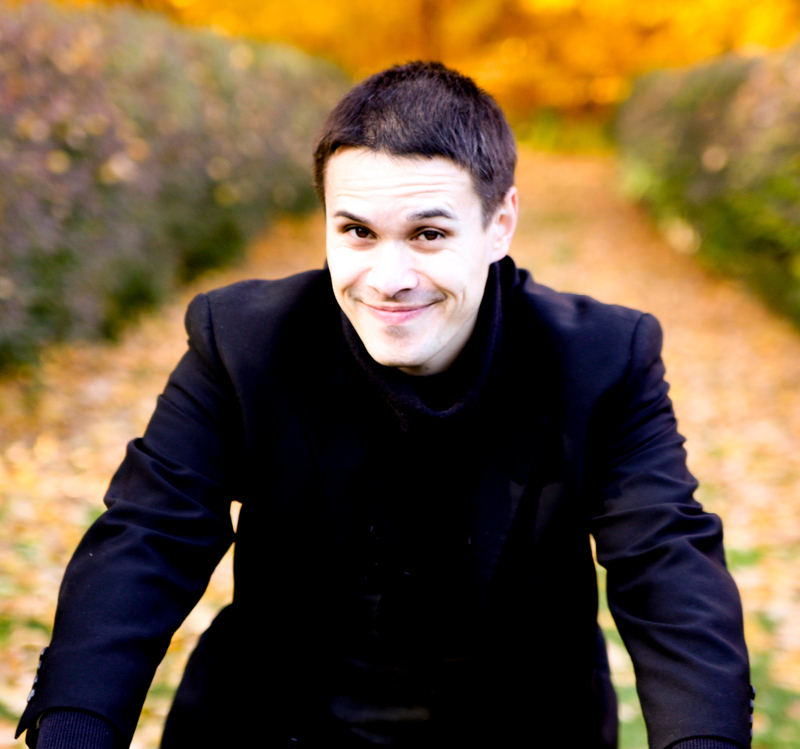 He’s also the music director for my friend Jeremy Jordan; I was a guest in one of Jeremy’s concerts, and we hit it off and bonded. For the touring version, we can’t afford to bring 12 girls on the road, so it’s myself, Susan Egan, and Courtney Reed. Susan got a Tony nomination for playing Belle in Disney’s Beauty and the Beast and she was the voice of Meg in Hercules; she did one 54 Below show in June and joined us in California. Courtney Reed starred as Jasmine on Broadway in Disney’s Aladdin, and also did several of these shows at 54 Below. We want to build the brand around the three of us until it’s established; then we can start plugging in more people. This time on the road, we’re going to perform in Los Angeles the day before Minneapolis and then we head to perform in Chicago the day after. And a special local guest star? Yes! We picked up Adam Jacobs for this run. When I spoke with Adam last fall, he said he was getting ready to move to Chicago after the Aladdin tour. Did that help with scheduling? Our normal guest prince in California is Adam Levy, an up-and-coming tall, dark, and handsome guy, who just graduated from Pace University. He’s doing a show in DC at the moment, though, so we thought it would be perfect to invite Adam Jacobs to join us for Minneapolis and Chicago, and to come for LA as well. Courtney and Adam know each other already from Aladdin on Broadway, of course. What’s it like working with this team? All of the girls are great – I cast my friends for a reason, and it’s fun to work with your friends. When we started, we dreamed big, and started asking people who were the original voices of Disney movies and shows. Susan happened to say “yes”, which was really great. Ben and Susan had worked together before, and she got very excited about being part of this. She’s very business-savvy, which has helped a lot in growing The Broadway Princess Party. We talk almost every day. Does the tour vary a lot by city, or is it one program for the whole tor? We have a mix of solos, medleys, and group numbers. Do you have a lot of custom arrangements? Ben has arranged everything. He’s a master of writing medleys, so we have a lot of mashups and medleys, plus songs in 3-part harmony. We all love Ben, we call his character “Our Fairy Godfairy.” It’s pretty cute. Does your husband come with you on tour? It varies, but we’ve gotten to travel a lot together. My husband hasn’t come on tour for the Broadway Princess Party, since it’s usually 4 days at a time – but he’s seen everything in New York. He’s not here in Vail because he’s working on a movie in July, but we’re doing a cruise booking in August together. Do you have a special vocal care routine while you’re on the road? What’s a favorite musical moment? The Cinderella epic medley is one of my favorites. It encompasses songs from every musical version of Cinderella. I got to play the princess on Broadway, so it’s the one princess that people usually know me for. People always love it, it’s like the “Best of” Cinderella. That said, I really love them all – I get to be Rapunzel, Princess Anna, and others. These songs are classic and bring out the kid in all of us. When Courtney sings “Colors of the Wind”, it brings the house down. There are so many strong women here in this repertoire. What are your goals for the future of the Broadway Princess Parties? Right now, BPP is my baby, and I’m investing in it. We’re looking to grow! We’d like to have casts all over, so when I’m in a show they can take over. If it lasts well for many years, or if it dies, I’ll explore something else – but it’s a great time and so much fun every night. Susan Egan, Laura Osnes, and Courtney Reed star in the Broadway Princess Party, along with pianist Benjamin Rauhala and special guest Adam Jacobs.